Manit Joura is an Indian actor born on the 5th of June, 1987 into a Punjabi family. He did modeling before acting and was the brand ambassador of Brunch Magazine for over 3 years. After he acted in several plays which gained him popularity. He was also seen in Love Shagun and 12/24 Karol Bagh. He participated in Star plus reality show, Aaja Mahi Vay. Besides acting, Joura is trained in martial arts, sword fighting, tai Chi and horse riding. Manit Joura is having a present affair with actress Manika Dhanda. They met each other on a flight to Delhi and gradually got attracted. Manit and Manika both took part in Aaja Mahi vay reality show. Manit Joura plays Rishabh on this is fate. Rishabh is the most eldest son and the responsible one of the family. He is arranged to get married but unknown to him, the decision is a wrong one. Ram milaayi Jodi, kundali bhagya, 12/24 Karol Bagh, kumkum bhagya. 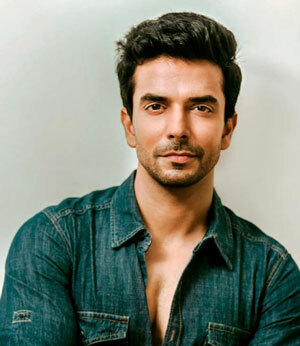 Manit Joura is currently playing the role of Rishabh Luthra on Zee TV’s most-watched show, Kundali bhagya.